National Machinery, LLC hosted an open house this month to mark the organization’s 140 year anniversary. On Sunday, the global manufacturer opened its doors to the public, hosting a three-hour open house event. During the open house, the public could tour the National Machinery plant, experience product machine demonstrations, view state-of-the-art manufacturing technologies, and learn about career opportunities. In addition, the company showcased its facility renovations over the years. Further, National Machinery customers had the opportunity to attend six different technical seminars, while taking a plant tour with machine demonstrations. 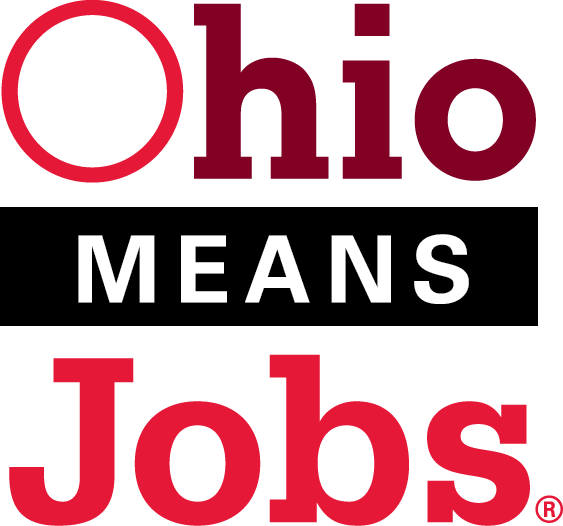 The National Machinery Company was founded in 1874 in Cleveland, Ohio by William Anderson. Eight years later, investors, and future owner Meshech Frost, convinced Anderson to move the organization to its current location, Tiffin, Ohio. Since its move, National Machinery quickly grew, becoming a global leader in advanced cold forming machinery, process technology, and customer support products and services. National Machinery products are used in over 130 countries around the globe, and are used in motor vehicle, appliance, bearing, aerospace, and machinery manufacturing industries. 13 years following the destruction that occurred on September 11, 2001 in New York City, Washington D.C., and Shanksville, Pennsylvania, the Tiffin Police and Fire All Patriots Memorial held a memorial service to remember the events that occurred on the historic day. The day’s events began with a program held for Tiffin Columbian and Tiffin Calvert freshmen students, where a documentary was watched at Columbian before being bused to the memorial for special remarks. Later that day, thanks to a grant from The National Machinery Foundation and help from The Ritz Theatre, a second memorial service was held free for the public. People began the program at The Ritz Theatre, where a documentary regarding the 9/11 events was shown. Following the documentary, people proceeded to the Tiffin Police and Fire All Patriots Memorial. During the memorial services, various speakers shared their reflections on the tragic day’s events that occurred thirteen years ago. The 17.5 foot long steel center column, weighing over 6,000 pounds, was retrieved following the collapse of the World Trade Center towers. On August 23, 2011, three Tiffin Firefighters and one retired firefighter traveled to New York City’s JFK Airport to retrieve the steel artifact. 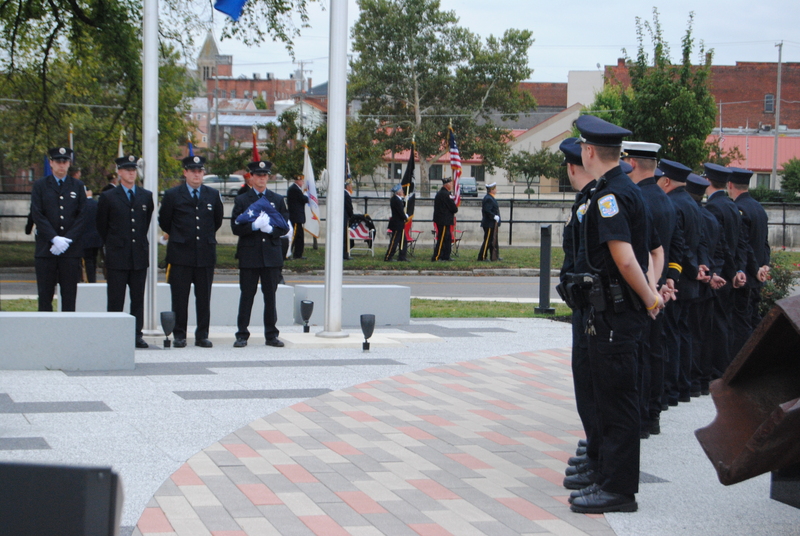 The Tiffin Police and Fire All Patriots Memorial was dedicated in September of 2012. The memorial sits in Tiffin, Ohio, on the corner of North Washington Street and Water Street, along the Sandusky River. Looking for a free, fun, safe event for the family? Look no farther than Downtown Tiffin’s new family movie night. As the 2014 Tiffin Art & Music Festival continues for adults after 6 pm, an evening activity for families and kids will now also be available. This Saturday (June 21, 2014), a number of partners have joined together to show The Lego Movie for free on the Courthouse Green (117 E. Market St.) in downtown Tiffin. The movie will be shown at 7:30 pm and has a running time of 100 minutes. It is rated PG (official trailer is below,) and will be shown on a 20′ x 17′ screen outside. Parking is available on street or in several free, city lots. You are free to bring blankets, chairs, food and drink (but no alcohol please – it is not allowed.) We will have free water and popcorn at the event. National Machinery is the event sponsor, and the movie is being brought to you and promoted by the Seneca Industrial & Economic Development Corp. (SIEDC) and the Seneca Regional Chamber. We hope this is the first of more such events. An event flyer can be downloaded here.